When it comes to hydration, there are many reasons why it should be a top priority. For starters, your body needs water to maintain healthy function. Water also helps prevent heat stroke in hot weather. Whether you are preparing for a mission or just dealing with the heat of the day during summer, you need a few tips to stay hydrated in hot climates. One of the most obvious tips to stay hydrated in hot climates is make sure you drink water! Too many people aren’t drinking enough water on a daily basis. 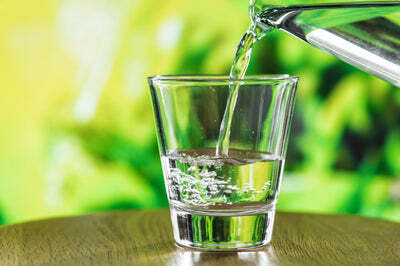 The general guideline is that you need at least 64 ounces of water a day, but your actual needs will vary based on matters such as weight and activity levels. It should go without saying that if you work out or sweat a lot, you lose more of your hydration. Your body needs more water on these days to replenish what is lost and ensure that you stay healthy and hydrated. In addition to drinking your hydration, you can also eat it! Fruit, especially watermelon, cantaloupe, and grapes, all carry extra water in them which means when you eat fruits, you are hydrating at the same time. If you are worried about becoming dehydrated, it is important to take a few actions against it. For starters, you want to avoid being exposed to heat for too long. If you spend hours outdoors in the heat, you are bound to become less hydrated. You also want to avoid the sun since it can certainly zap you of energy and make you require more water to stay hydrated. You also want to avoid exertion to avoid breaking a sweat which causes a depletion of hydration. While drinking enough liquids is important to staying hydrated, you need to put down the beer. Alcohol, though liquid, is the opposite of hydrating. While you can swap out the occasional glass of water for a Gatorade or even juice, swapping it out with beer or liquor will leave you more dehydrated. Alcohol is naturally dehydrating so avoid it when it is especially hot. Why do you think after a night of drinking you wake up with a killer thirst for water? Put down the beer and grab some water instead to stay hydrated from the start.